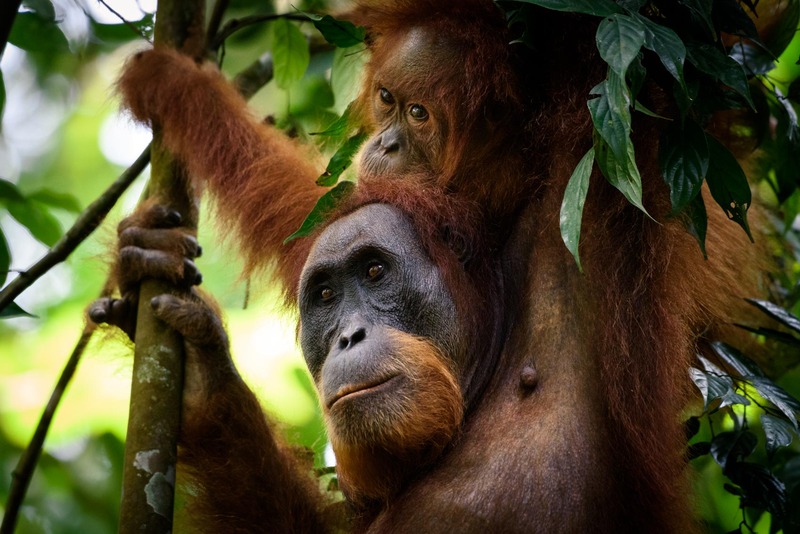 The slow, steady gaze of an orangutan and her child. There is thought and feeling in the depths of those eyes, perhaps unease at a world rapidly changing around her. Perhaps hope, that there can be a future for her child.